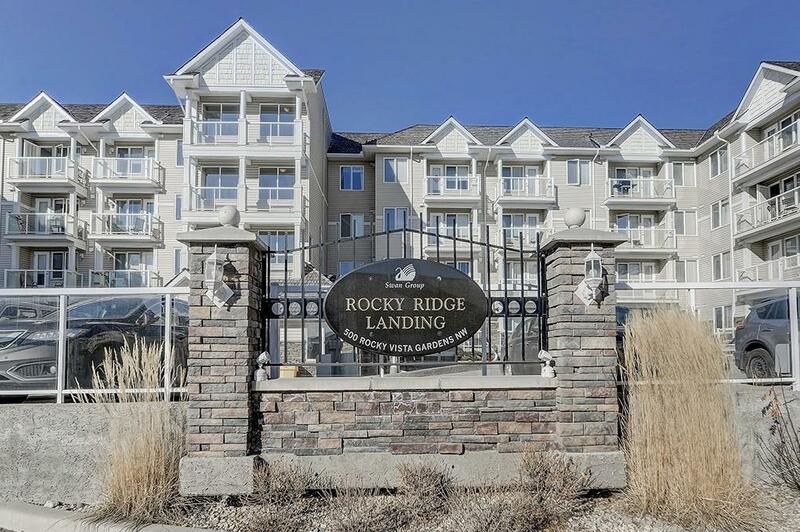 Exceptional one bedroom plus den located in one of the most sought after buildings in the desirable community of Rocky Ridge. Bright & open floor plan! 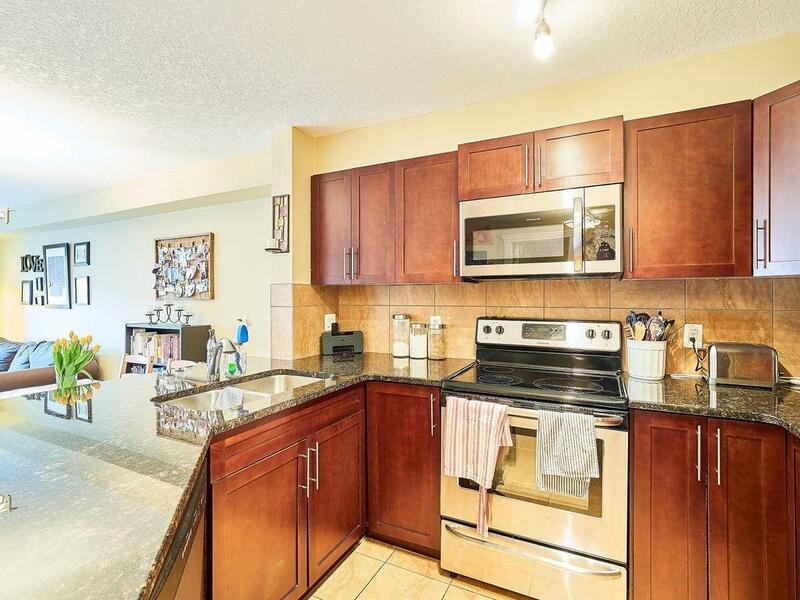 Gourmet kitchen features granite counters, tons of counter & cabinet space & stainless steel appliances. The kitchen opens up to the cozy living room and dining area. Large master bedroom with a walk through closet and a 4 pc cheater ensuite bathroom. The den is perfect for a home office, reading area, exercise room or a good spot for extra storage. In suite laundry & low condo fees! 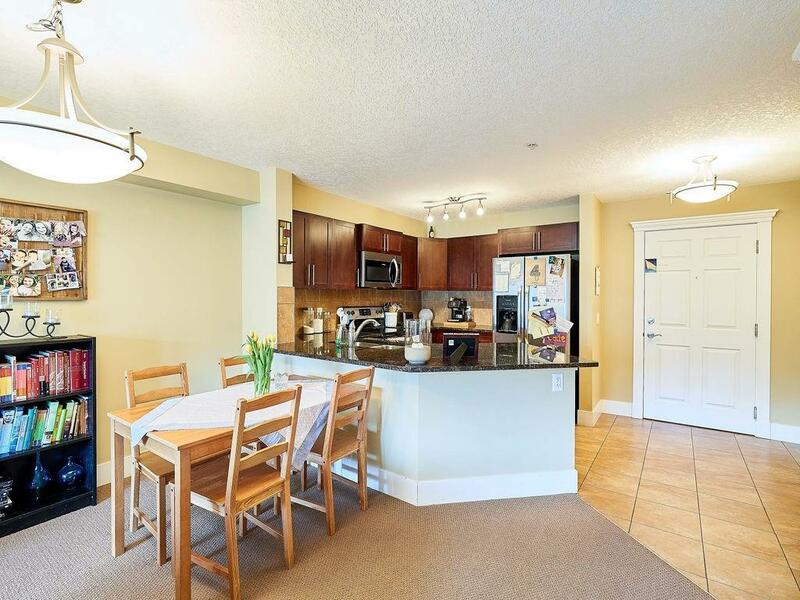 Private balcony, indoor heated parking stall and lots of visitor parking. Exceptional amenities including social and fitness rooms, private theatre and bicycle storage. 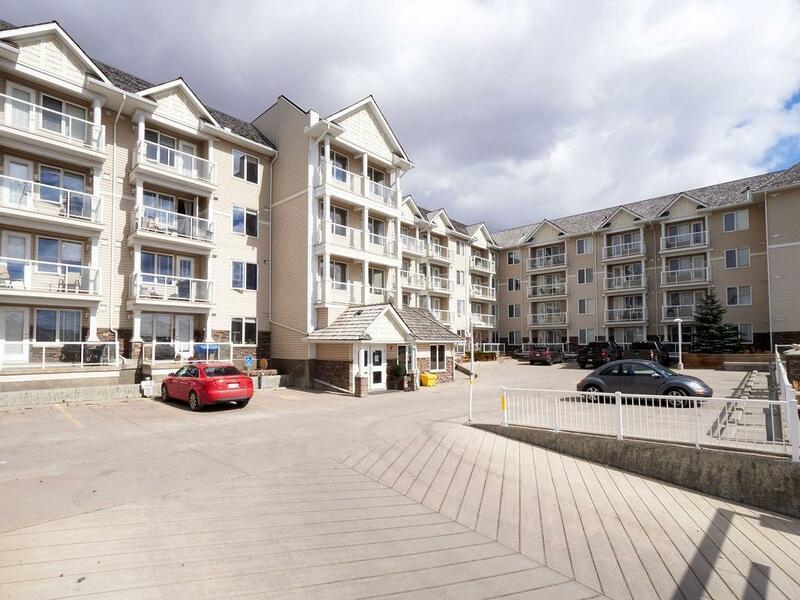 Close to the LRT and new recreation/swimming pool on Country Hills Boulevard. Great value! Pride of ownership shown throughout.